In the wake of a promise to revamp its corporate culture, Under Armour said Wednesday that it has hired a Harley-Davidson Inc. veteran in an executive role as chief people and culture officer. Tchernavia Rocker, who worked at Harley-Davidson for 22 years, will lead human resources and direct a culture strategy. She will report to founder and CEO Kevin Plankand start next month. Under Armour’s previous head of human resources, Kerry D. Chandler, left the brand in November to take on a similar role at Endeavor, a Beverly Hills-based talent agency focused on sports, entertainment and fashion. Rocker spent more than 18 years in leadership roles at Harley-Davidson, most recently as vice president and chief human resources officer. Before that, she worked in human resources and operations roles at Goodyear Dunlop North America Tire Inc. The Baltimore-based sports apparel and footwear maker has said it is working to transform its culture amid scrutiny of the #MeToo movement. Continue onto the Baltimore-Sun to read the complete article. 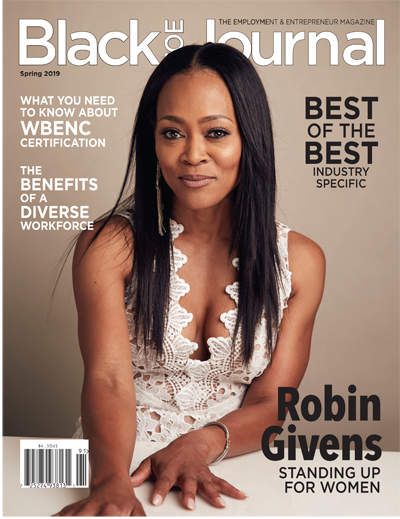 It has been more than 30 years since Riverdale star Robin Givens walked away from an abusive marriage, the traumatic union dissolving in a highly publicized fashion. While it’s a chapter she doesn’t feel the need to dwell on, she has used the experience, along with her platform, to assist and empower fellow survivors of domestic violence and raise awareness for the cause. Her advocacy has included service as a spokesperson for the National Domestic Violence Hotline, working in support of the YWCA USA (a leading provider of domestic violence and sexual assault programs and services) and DV Leap, which fights to advance legal protections for victims of domestic violence. Givens also serves as a keynote speaker, donates supplies, and makes personal visits to shelters. It’s an admittedly hard thing to do, and Givens acknowledges that after decades of dogged involvement, she has eased up on revisiting the past to focus on the future. Her eyes may be set toward the future, but her hands remain behind to uplift those battling their way through a storyline she knows too well. It is, she accepts, a part of her purpose. 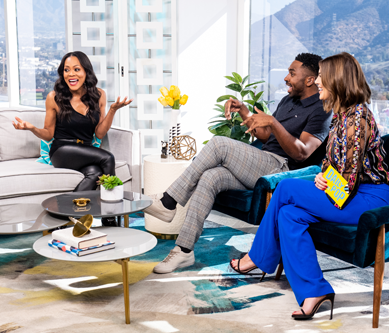 After a recent appearance on the Wendy Williams Show, Givens was asked if she could imagine going through her tumultuous marriage during the age of social media—wouldn’t it have been crazy? Her first thought? That time in her life couldn’t have gotten much crazier. Her second? That actually, a social media presence might’ve proved to be a useful tool in showing her she wasn’t alone and convincing her to leave earlier. Givens is far from labeling the societal mainstay as an absolute positive, though, admitting that society’s fascination with the image of perfection has definite setbacks. As a mother, she laments, thinking about the pressure young people in general and her sons in particular must feel to look a certain way and portray a perfect life. It’s a balance Givens is learning to measure with increasing precision as she spends more and more time in the digital space promoting her current show, Riverdale, and hosting upcoming projects. True to form, Givens never planned on landing a role on the hit show Riverdale as the town’s mayor. It’s an opportunity that found her in Houston cheering on her youngest son at a tennis tournament, of all places. She’d spent the last few months easing back into acting after being challenged by her publisher to make herself her own project. Based on the Archie comic strip, Riverdale follows the life of teenager Archie Andrews and his high school exploits in the seemingly idyllic town. If you’re expecting the cookie-cutter storylines of comic strips past, though, you’re out of luck. The best part of the remake by far—and what Givens is most proud of—is the diversity of the cast and the ease with which it’s accomplished. Riverdale isn’t the only role on her radar. As Givens continues to answer passion’s call, the upcoming projects are starting to stack up. She stars on ABC’s newly premiered series The Fix, a legal drama co-written and executive produced by Marcia Clark (lead prosecutor in the O.J. Simpson case) that centers on a famous prosecutor searching for redemption and justice after losing a case and freeing a killer years earlier. 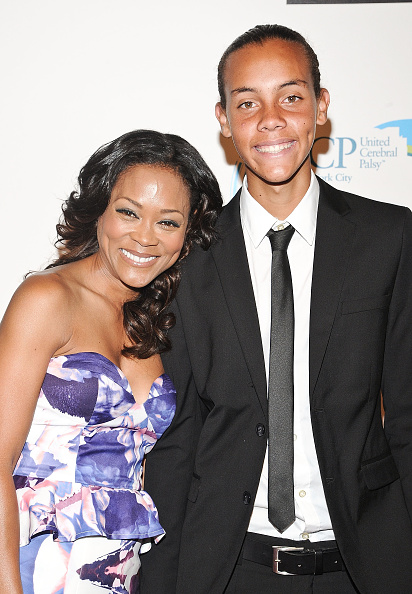 Givens is also set to lead an ensemble cast in OWN’s upcoming family drama Ambitions, produced by prolific producer Will Packer and set to premiere later this year. What’s next on the list? Without a doubt, Givens has her heart set on two future goals: authoring another book and finding her way back to Broadway. Those plans aren’t written in ink, though—she knows they’ll manifest when they’re meant to—and not a moment before. God, truth, authenticity, and yoga. It’s a tried-and-true combination that has seen Givens through her highest peaks and deepest trials. She’ll be the first to admit that had just one circumstance changed along her journey, life would’ve looked completely different. If her mother had anything to do with it, we’d have never known Givens as the femme fatale Imabelle in Rage in Harlem, the unapologetically feminist Jacquelyn Boyers in Boomerang, or the militant Kiswana Browne in The Women of Brewster Place—we’d be calling her Dr. Givens instead. But, despite the rollercoaster of ups and downs, she acknowledges her path has molded her into a woman she is proud of today. “I’m very much a work in progress, and it’s hard to say I’m happy for all the difficulty I’ve experienced in my life, but it’s a big part of who I am now,” she says. Becoming…now that sounds like a plan. Some job listings will say “cover letter required,” while others don’t include any mention about it at all. When it comes to the ladder, many applicants often wonder, Should I submit one in anyway? It’s a competitive job market out there, and hiring managers and job recruiters today spend about six seconds reviewing each resume. According to Glassdoor, a job search and salary comparison website, approximately 250 resumes are submitted for each corporate job listing, and only five or so candidates will be called for an interview. So when is it necessary to send a cover letter? Here’s the thing: Hiring managers love them — they get you noticed quickly, show you’ve gone the extra mile and demonstrate how much you really want the job. 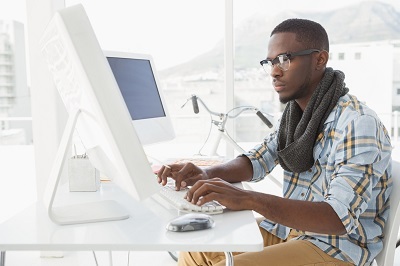 A bad cover letter, however, can hinder your objectives. Hiring managers expect to read a compelling and impressive cover letter, not an exact replicate of your resume. (Think about how you felt when writing your personal statement for all those college applications; it was a big deal and you knew the admissions office were looking for someone who they’d feel proud to have representing their school). It’s no different with cover letters. Do you have any unusual hobbies that led you to be interested in the field of work you’re applying for? Is there a backstory that explains why you admire the company? Whatever you write, just don’t elaborate on your job history and skills (that’s what the resume is for). Save the problem-solving suggestions for the job interview (that is, if you’re luck enough to get one), when you’ll 100 percent be asked those similar questions (i.e., “what would you improve about [XYZ]?”). 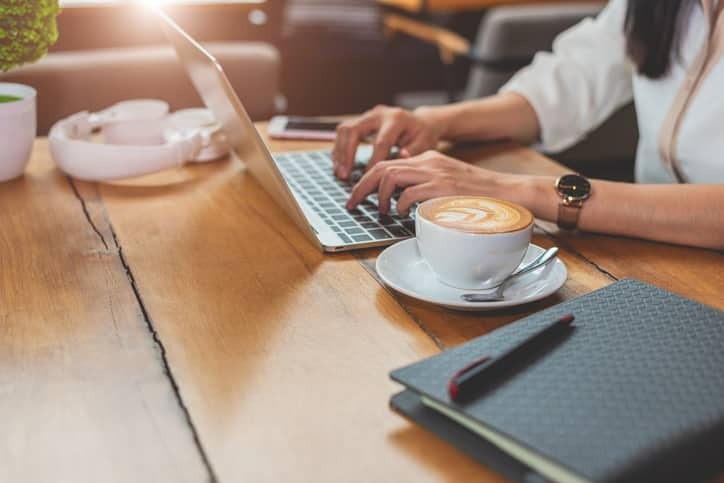 A cover letter can be used as an opportunity to demonstrate your job knowledge, but don’t use it as an outlet to tell your prospective employer what they are doing wrong and how to fix it. No one likes hearing negative things about their business from a stranger, even if your feedback has merit. Curiosity, humility and tact will trump a “know-it-all” every time. Focus on the positive aspects and potential solutions for the business. Notwithstanding the above, the only time you should submit a cover letter is when you have valuable information to share that’s not conveyed in your resume. I’ve hired many candidates based on something that stood out in their cover letter. If you were personally introduced to a hiring manager (or someone high up in the company), always acknowledge that relationship in a cover letter. Who made the introduction? How you know them? Why did they think you are a good fit for the role? A personal referral goes a long way, so don’t miss out on capturing the advantage. If you have any link to the organization, it’s essential to connect the dots. Did you intern at the company? Did you cross paths when you worked for a supplier, a competitor or even a team member in a previous company? You never want to surprise the recruiter and have them hear about the connection from someone else; getting ahead of it will make you an exciting candidate and demonstrate that you’re a transparent and a proactive communicator. Have You Considered a Career in Finance? Everyone knows there’s money to be made in the financial services field. But there are many more reasons to consider a career in finance. The industry offers diverse opportunities, a fast-paced environment, and lots of room for advancement. Are you creative and do you like to learn? Professionals in finance are constantly innovating—quick thinking, rigorous analytical thought, and consistent results are what will get you promoted. If this sounds like a good fit for you, consider these job titles (and their salaries!). Asset managers are responsible for the financial health of an organization. They produce financial reports, direct investment activities, and develop strategies and plans for the long-term financial goals of their organization. Actuaries analyze the financial costs of risk and uncertainty. They use mathematics, statistics, and financial theory to assess the risk of potential events, and they help businesses and clients develop policies that minimize the cost of that risk. Personal financial advisors provide advice on investments, insurance, mortgages, college savings, estate planning, taxes, and retirement to help individuals manage their finances. Budget analysts help public and private institutions organize their finances. They prepare budget reports and monitor institutional spending. The Association of ERGs & Councils (a practice group of PRISM International, Inc.) released their annual list of the Top 25 US Employee Resource Groups (ERGs), Business Resource Groups (BRGs) and Diversity Councils set to receive the tenth annual 2019 ERG & Council Honors Award™ at an award ceremony during the 2019 ERG & Council Conference in Orlando May 3rd. The 2019 ERG & Council Honors Award™ is the only annual national award that recognizes and honors the outstanding contributions and achievements of ERGs, BRGs and Diversity Councils. It was established in 2008 by the Association of ERGs & Councils, a practice group of diversity and inclusion consulting and training firm PRISM International, Inc. This year, for the first time, the Association of ERGs and Councils will bestow the honor of Top Executive Sponsor of the Year. “We wanted to recognize and call out the important role executive sponsors play in developing, supporting and enabling their ERGs and Councils to succeed,” Serpa said. 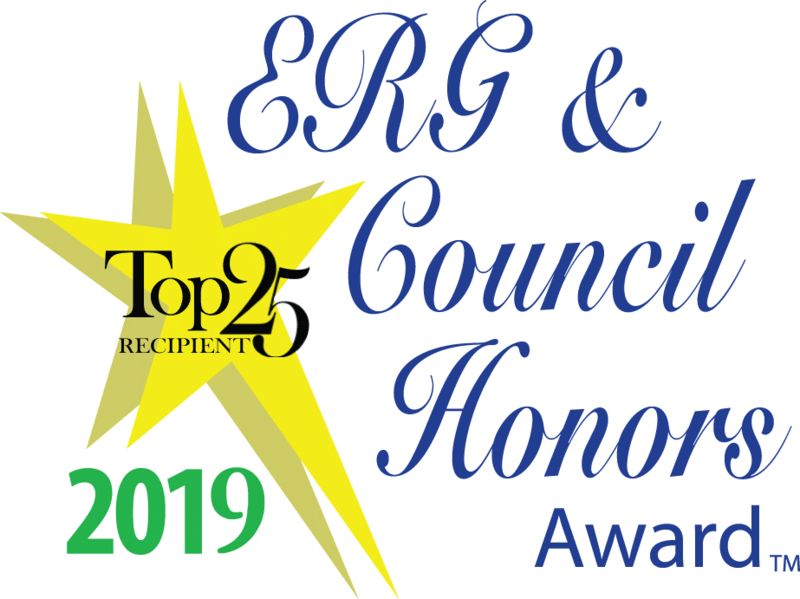 The 2019 ERG & Council Honors Award™ Top 25 recipient rankings will be revealed at the May 3 award ceremony at the Disney Yacht & Beach Club Resort in Orlando, Florida. The Award Ceremony and Conference is open to all diversity and inclusion professionals involved with ERGs, BRGs and Councils. This is a great opportunity for individuals to learn and share best practices, network, grow and celebrate, to become inspired and be renewed…all for the purpose of increasing their impact on key organizational and business objectives. Learn more by visiting ErgCouncilConference.com. The ERG & Council Honors Award™ is the only annual national award that recognizes, honors and celebrates the outstanding contributions and achievements of ERGs, BRGs and Diversity Councils that lead the diversity and inclusion process in their organizations and demonstrate results in their workforce, workplace and marketplace. Learn more by visiting ERG & Council Honors Award™. 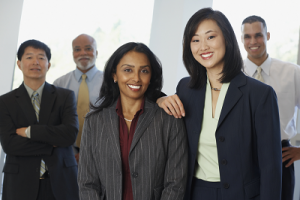 ERGs and Diversity Councils are vital links for improving organizational results. However, to remain impactful and effective, they need opportunities to increase their skills and knowledge and to learn and share best practices. They need opportunities to network, celebrate and grow. This is the purpose of the only annual conference designed specifically for ERGs, BRGs and Diversity Councils. Learn more by visiting ERGCouncilConference.com. The Association of ERGs & Councils is a practice group of PRISM International Inc. and the premier resource for transforming Employee Resource Groups, Diversity Councils and Employee Network Groups to impact key organizational and business objectives. Learn more by visiting the ErgCouncil.com. Diverse and inclusive workplaces can be both difficult to find and hard to create. But if you care about making your own workplace truly inclusive, you have the ability to effect real change—as an ally. An ally is someone who is not a member of an underrepresented group but who takes action to support that group. It’s up to people who hold positions of privilege to be active allies to those with less access, and to take responsibility for making changes that will help others be successful. Active allies utilize their credibility to create a more inclusive workplace where everyone can thrive, and find ways to make their privilege work for others. And wielding privilege as an ally doesn’t have to be hard. I’ve seen allies at all levels take action with simple, everyday efforts that made a difference—often a big one! Here are a few roles that allies can choose to play to support colleagues from underrepresented groups in beneficial ways. By doing this, Digby helped me build credibility with my new colleagues. He took action as an ally, using his position of privilege to sponsor me. His shoutouts made a difference, and definitely made me feel great. When an ally takes on the role of the Sponsor, they vocally support the work of colleagues from underrepresented groups in all contexts, but specifically in situations that will help boost those colleagues’ standing and reputations. Talk about the expertise you see in others, especially during performance calibrations and promotion discussions. Recommend people for stretch assignments and learning opportunities. Share colleagues’ career goals with influencers. The moderator then asked the panelists to address the topic of gender diversity, and Andrew, after sharing some of his thoughts, quickly realized he wasn’t the best person to respond. In fact, none of the panelists were. He instead asked the woman who asked the question, Miranda Bishop, to take his place on the panel. By stepping aside, Andrew made a bold statement in support of gender diversity on stage and championed Miranda at the same time. Since then, the nonprofit organization GenderAvenger has created a pledge to reduce the frequency of all-male panels at conferences and events. It reads, “I will not serve as a panelist at a public conference when there are no women on the panel.” Anyone can sign the pledge on their website. When an ally takes on the role of the Champion, that ally acts similarly to the Sponsor, but does so in more public venues. Champions willingly defer to colleagues from underrepresented groups in meetings and in visible, industry-wide events and conferences, sending meaningful messages to large audiences. Direct questions about specific or technical topics to employees with subject-matter expertise instead of answering them yourself. Advocate for more women, people of color, and members of other underrepresented groups as keynote speakers and panelists. If you’re asked to keynote or serve in a similar public role and know someone from an underrepresented group who’d be an equally good fit (or better), recommend that person (after asking them first if they’d like to be put forward). In a Slack channel for female technical leaders, I met a data engineer who was working at a 60-person startup. One team inside the company had an unproductive meeting culture that was starting to feel truly toxic. Yelling and interrupting frequently took place, and women in particular felt they couldn’t voice their opinions without being shouted over. One of this engineer’s colleagues decided to take action to ensure that the voices of those who weren’t shouting would be heard. She introduced communication guidelines for a weekly meeting, and saw an immediate improvement. The guidelines included assigning a meeting mediator (team members would take turns in this role), setting clear objectives and an agenda for every meeting, conducting a meeting evaluation by every participant at the end of every meeting, and reminding the members to be respectful and practice active listening. When an ally takes on the role of the Amplifier, that ally works to ensure that marginalized voices are both heard and respected. This type of allyship can take many forms, but is focused on representation within communication. Create a code of conduct for meetings and any shared communication medium including email, chat, Slack, and so forth. Invite members of underrepresented groups within your company to speak at staff meetings, write for company-wide newsletters, or take on other highly visible roles. I learned about an important invitation-only conference convening most of the top leaders in tech and media, yet my name was left off the guest list. Many of the invitees were my peers, meaning that YouTube wouldn’t be represented while deals were cut and plans were made. I started to question whether I even belonged at the conference. But rather than let it go, I turned to Bill, someone I knew had a lot of influence and could help fix the situation. He immediately recognized I had a rightful place at the event and within a day he worked his magic and I received my invitation. When an ally takes on the role of the Advocate, that ally uses their power and influence to bring peers from underrepresented groups into highly exclusive circles. The Advocate recognizes and addresses unjust omissions, holding their peers accountable for including qualified colleagues of all genders, races and ethnicities, abilities, ages, body shapes or sizes, religions, and sexual orientations. Look closely at the invite list for events, strategic planning meetings, dinners with key partners, and other career-building opportunities. If you see someone from a marginalized group missing, advocate for them to be invited. Offer to introduce colleagues from underrepresented groups to influential people in your network. Ask someone from an underrepresented group to be a co-author or collaborator on a proposal or conference submission. I’m a member of the Women’s CLUB of Silicon Valley, a nonprofit leadership incubator for women. Many of our events are open to guests, who come to hear the speakers and participate in our workshops. Most guests are women, so it stood out when a male guest started attending our events. I asked one of my friends who he was, and she told me he was a former colleague who wanted to better understand the challenges women face in the workplace. He spent many evenings at our events, listening and absorbing information about the issues we discussed so he could be a better ally. When an ally takes on the role of the Scholar, that ally seeks to learn as much as possible about the challenges and prejudices faced by colleagues from marginalized groups. It’s important to note that Scholars never insert their own opinions, experiences, or ideas, but instead simply listen and learn. They also don’t expect marginalized people to provide links to research proving that bias exists or summaries of best practices. Scholars do their own research to seek out the relevant information. Investigate and read publications, podcasts, or social media by and about underrepresented groups within your industry. Ask co-workers from marginalized groups about their experience working at your company. If your company or industry has specific discussion groups or Slack channels for members of underrepresented groups, ask if they’d be comfortable letting you sit in to observe. Asking is essential: Your presence may cause members to censor themselves, so be sure to check in before showing up. I remember being impressed by Lisa, a white software engineer who stepped outside of her comfort zone to be an ally. When asked to name her “spirit animal” as part of a team-building exercise, Lisa spoke up. She wasn’t comfortable taking part in an exercise that appropriated Native American spiritual traditions. When an ally takes on the role of the Upstander, that ally acts as the opposite of a bystander. The Upstander is someone who sees wrongdoing and acts to combat it. This person pushes back on offensive comments or jokes, even if no one within earshot might be offended or hurt. Always speak up if you witness behavior or speech that is degrading or offensive. Explain your stance so everyone is clear about why you’re raising the issue. In meetings, shut down off-topic questions that are asked only to test the presenter. Take action if you see anyone in your company being bullied or harassed. Simply insert yourself into a conversation with a comment such as, “Hi! What are you folks discussing?” and then check in with the victim privately. Ask if they’re okay and if they want you to say something. At 22 years old, Lauren Simmons shattered the glass ceiling by being the youngest and only full-time female equity trader on Wall Street for Rosenblatt Securities. Affectionately dubbed as the “Lone Woman On Wall Street”, Simmons was also the second African-American woman in history to sport the prestigious badge. Graduating Kennesaw State University in 2016 with a bachelor’s degree in genetics and a minor in statistics, Simmons originally aspired to go into genetic counseling. She made a decision to put that on hold. What had not changed, however, was her passion to move to New York City, where networking led her to meet Richard Rosenblatt, the CEO of Rosenblatt Securities. Beyond her many qualifications, it was ultimately Simmons’ confidence that led Rosenblatt to take her under his wing as an Equity Trader. The job wasn’t completely hers; she still had to pass the Series 19 exam, which is a requirement for all floor brokers to earn their badge. This test has a pass rate of 20% in a class of 10. After studying the book cover to cover for a month straight. Lauren Simmons made history. 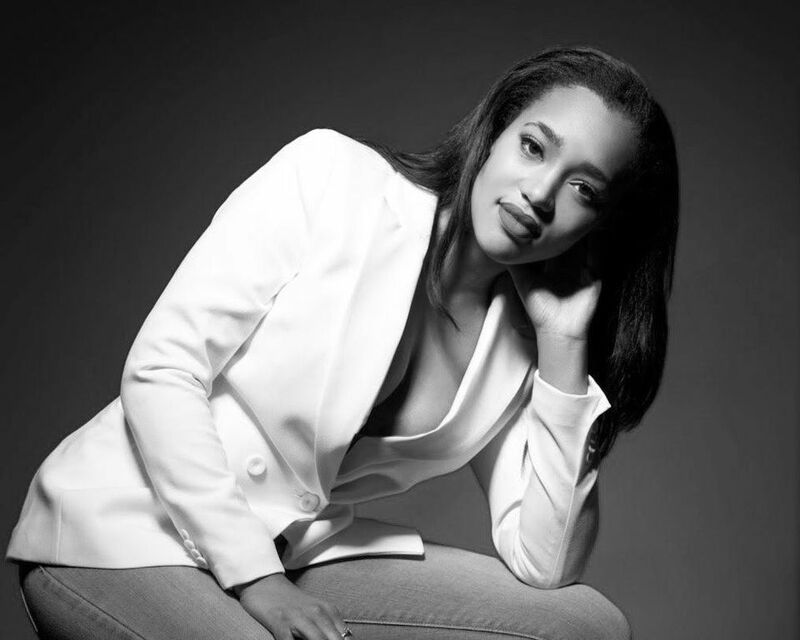 Since her story broke Lauren Simmons has been featured in various media outlets and currently, she has a movie on her journey to Wall Street starring Kiersey Clemons. I spoke to Simmons about her journey to Wall Street, favorite moments on the trading floor and what the financial service industries can do to increase diversity and inclusion. For the complete article, continue on to Forbes. Knowing the right way to prepare for a job fair can help you land the next great job on your career path. Whether you’re seeking your first job or your fifth job, attending a career or job fair is a smart strategy for marketing yourself to potential employers. Forget reviewing hundreds of online ads or spending countless hours filling out applications and emailing resumes! At a job fair, you can connect directly with recruiters and hiring managers from a wide range of companies, learning about them as they learn about you. 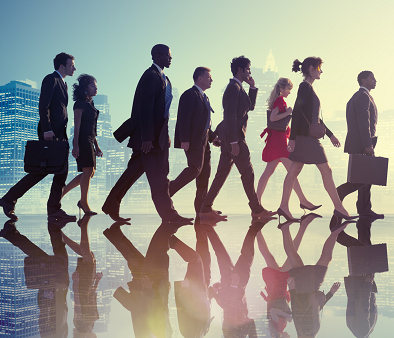 Yet, knowing how to effectively prepare for a career fair means you’ll stand out from other attendees and ultimately find your next great career role. Follow these steps to make the most of every job fair you attend. If you can, pre-register for the event: This can include submitting your resume and/or other information just in case attending employers review your information before the fair. Research the companies that are attending: Having a background on these organizations means you can ask specific questions about the job and company. “This impresses [company] representatives because it shows a genuine interest in them,” according to the UC Berkeley Career Center. After researching, decide who you’ll talk with: By doing this, you don’t have to waste precious time wandering around and deciding who to start a conversation with. You’ll know when you walk in the door, greatly increasing your chances of success. If you can get a layout of the fair beforehand, you can make a “plan of attack” to see each employer in order of interest. 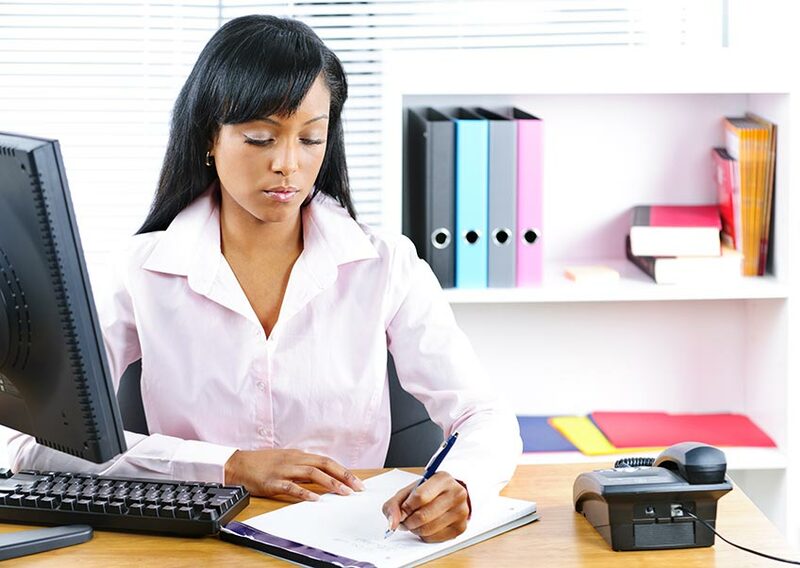 Prepare and print your resumes: Bring more than you need, as some companies may want more than one copy. If you have multiple job objectives, make sure you bring enough versions of each resume, and of course, be sure your resume is well-written and free of errors. Create and practice your elevator pitch: This 30- to 60-second speech should explain who you are, what your skills are, and what your career goal is. This is one truly important piece of learning how to prepare for a career fair, and Carnegie Mellon University has a page with some great tips on creating a solid elevator pitch. Prepare for potential interviews or interview questions: Check out this list of the most common interview questions and prepare your answers beforehand. This will ensure you present yourself professionally and help calm your nerves. Be confident and enthusiastic: Introduce yourself with a smile and a firm handshake. Companies are there because they want to meet you, and more importantly, make a hire. Be ready to give your elevator pitch when appropriate. If you’re still a student, talk about your academic and extracurricular experiences as well as your career interests. Ask the company representative for a business card: This will give you all the information you need to get in touch with this person if necessary and to send a thank-you note for the time the representative spent with you. Believe it or not, many a candidate has won the job because of a thank you. Network, network, network: In addition to the company representatives, make time to talk with other job seekers to share information on everything from the companies to job leads and get their contact information if possible. Also, definitely approach any professional organizations at the fair and get information for future networking opportunities. Follow up with company representatives you talked to: As mentioned above, send a thank-you note as soon as possible after the fair. Review your interest in and qualifications for the job and promise to follow up with a phone call. You can also attach another copy of your resume to the note or email. Continue to network: Reach out to fellow attendees you talked with to share your experience of the job fair and ask about their successes. Tell them you’ll keep them in mind if you see an open position they might want and ask them to do the same for you. Join any of the professional organizations that were at the fair if they are appropriate to your career goals, as well. In addition to the tips above, the University of Minnesota has advice from employers on various aspects of how to prepare for a job fair, which is helpful for both students and experienced professionals alike. By following these guidelines at your next career fair, you’ll give yourself an excellent chance of landing that next great job in your career path. IBM appointed Admiral Michelle J. Howard, the first African American woman to command a U.S. Navy ship, to its board, the company announced Tuesday. A former U.S. Navy officer, Howard was the first woman to become a 4-star admiral in addition to becoming the first African-American woman to command a U.S. Navy ship, according to IBM’s announcement. In July 2014, she became the first woman and African-American to be named Vice Chief of Naval Operations, IBM said, and she retired from her 35-year career in December 2017. Howard now teaches cybersecurity and international policy at George Washington University, according to the release. Howard’s board appointment will be effective March 1. For the complete article, continue on to CNBC. These are wise words from Ken Chenault, Chairman and Managing Director of General Catalyst and former American Express Chairman and CEO, who spoke to TIAA employees on February 6 in TIAA’s New York City office and broadcasted nationally to TIAA employees via phone and video conference. In honor of Black History Month, and in support of TIAA’s Empowered Employee Resource Group (ERG) for Black professionals, Mr. Chenault spoke about the importance of diversity in the workplace and actions we can all take every day to embody true leadership. Mr. Chenault also shared best practices on how companies can be innovative in their approach to increasing diversity. He explained that diversity and inclusion needs to be handled like a core business initiative. He reiterated the obvious need for more diverse leadership in America – more CEOs of color and women are needed. Mr. Chenault encouraged companies to increase hiring of diverse talent to build a diverse pipeline as a way of increasing diversity in leadership as well. “We have a long way to go, to improve diversity,” he said. He emphasized that the company culture has to be evident that people are truly included and engaged with each other. “Fundamentally, if you’re talking about culture – if people are proud and engaged – that’s what you want,” he said. 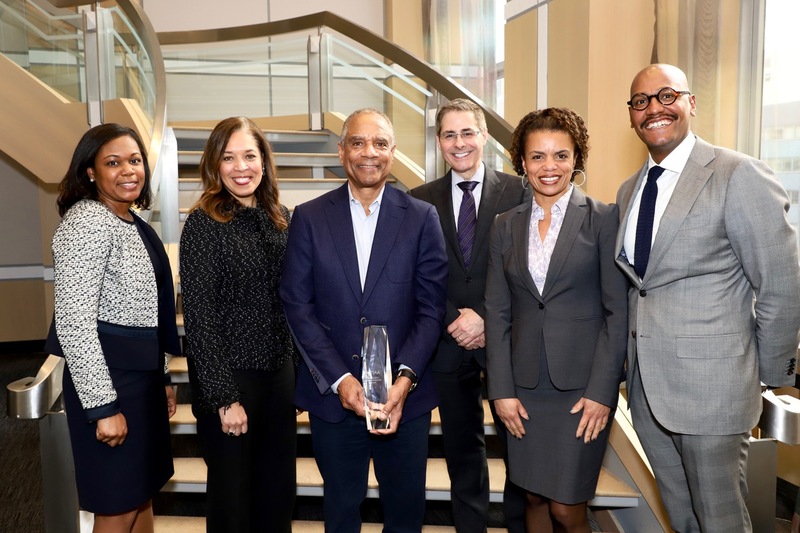 After the discussion, TIAA recognized Mr. Chenault with the inaugural TIAA Leadership in Inclusion & Diversity (I&D) Award for demonstrating commitment to I&D, challenging the status quo, and raising the bar in the workplace for fair and equitable treatment. “Ken Chenault’s fireside chat energized and inspired those who attended the event. 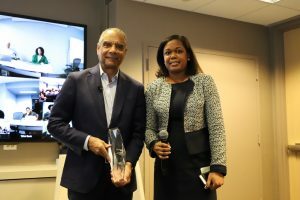 TIAA employees commented that they were most struck by Ken’s definition of his leadership style as one that was caring and decisive, where he defined reality and gave hope and one where he integrated diversity and inclusion into every aspect of business outcomes,” said Zarifa Reynolds, Head of Corporate Development at TIAA and New York Chapter Co-Lead of the Empowered Employee Resource Group (ERG). “Mr. Chenault’s perspective resonated with our employees by demonstrating the efficacy of inclusion as a business imperative. Inclusion is not simply morally right – it’s a key source of customer centricity, innovation, and business results,” said Jourdan Jones, Sr. Director of Marketing Strategy at TIAA and New York Chapter Co-Lead of the Empowered Employee Resource Group (ERG). TIAA advocates for diversity and inclusion – in and outside the office. In addition to inviting Ken to speak to employees for Black History Month, TIAA is also celebrating by giving back to the community and pushing the envelope for diversity in education and opportunities for students. 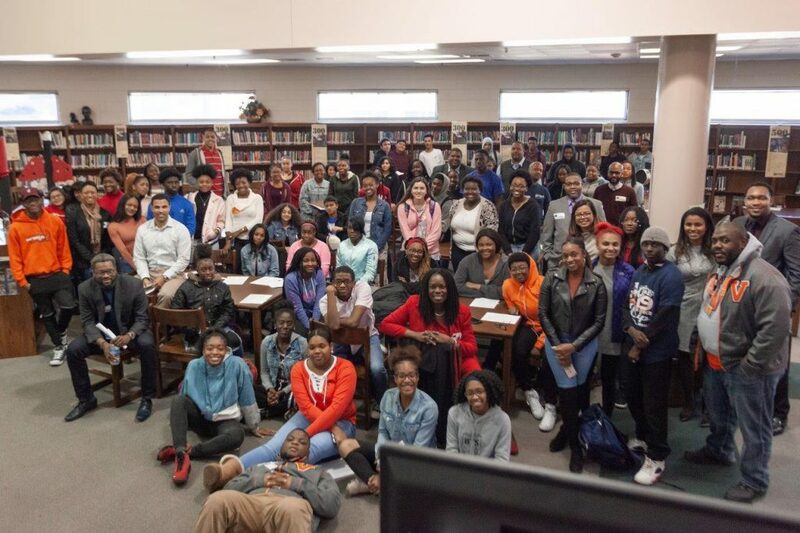 TIAA’s Corporate Social Responsibility (CSR) team is providing an opportunity for local students in Charlotte at Vance High School, an adopt-a-school relationship TIAA has established, to participate in an educational Washington D.C. field trip. Fifty students (10th-12th grades) will partake in a unique tour experience within the National Museum of African American History and Culture on February 23. Students and chaperones will also tour Howard University, a HBCU in D.C., to learn about the college and its programs. TIAA is also providing EverFi’s digital 306 African American Curriculum to an entire school district in Charlotte at no-cost. Chosen for their exemplary African American Studies essays, these students will also have exposure to a digital, online education & training company that will further their career connections via a speed networking event at EVERFI’s headquarters in the D.C. area. 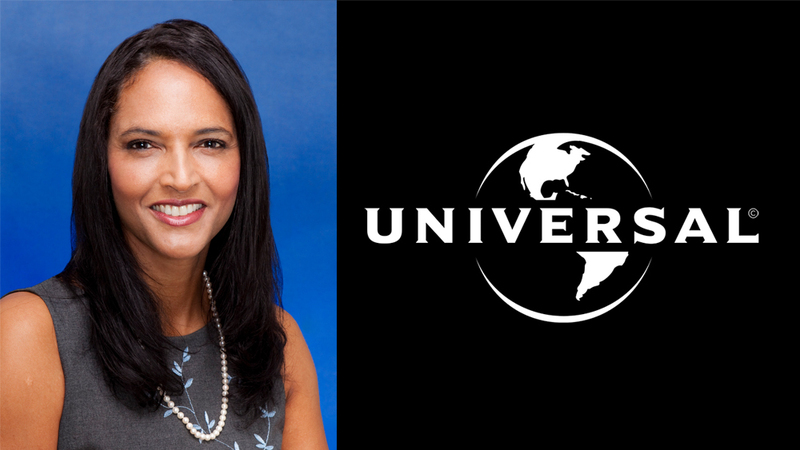 In honor of Black Heritage Month, NBCUniversal spotlights Janine Jones-Clark, SVP, Global Talent Development & Inclusion for the Universal Filmed Entertainment Group (UFEG), reporting to Universal Pictures Chairman Donna Langley. In this role, she and her team are dedicated to building on the studio’s legacy of attracting and developing an inclusive talent pool, and to supporting the creation of content that appeals to our increasingly diverse audiences. As a member of the studio’s senior leadership team, Jones-Clark implements strategies for the inclusion and diversity efforts at Universal Pictures, Focus Features, DreamWorks Animation and Awesomeness TV, working closely with both creative production and human resources teams. Additionally, Jones-Clark is responsible for developing and overseeing creative diversity initiatives and partnerships including the Universal Writers Program, the Universal Directors Intensive, the Sundance Institute FilmTwo Initiative and the AFI Directing Workshop for Women. Workforce strategies include partnerships with NBCUniversal’s Employee Resource Groups, Executive Search team, Page and Campus 2 Career pipeline programs. Q: Tell me about the Global Talent Development & Inclusion team that you lead for the Universal Filmed Entertainment Group. I always love when I get a chance to talk about our team. It’s only been a year, but it feels like much longer – in a good way! We’re all very passionate and come from creative backgrounds, so not only is there a real zeal around discovering new talent and perspectives, but we also know how to collaborate organically with the film group’s production executives and producers to build on Universal’s incredible legacy of inclusive and diverse storytelling. I really feel like we hit the ground running on day one. And I think it’s the ultimate compliment that I’ve heard from a number of other studios who are anxious to hear about how they can build something similar at their companies. Q: Why is it important that Universal Pictures, Focus Features, DreamWorks Animation and Awesomeness TV have a commitment to telling stories and creating art with multi-cultural, global perspectives? Simply put, it’s key to the industry’s growth. Diverse storytelling is in this studio’s DNA. The list of movies and diverse storytellers that Universal and Focus have championed over the years is tremendous … from Ang Lee’s Brokeback Mountain, F. Gary Gray’s Straight Outta Compton, Angelina Jolie’s Unbroken. In 2017 alone, we have so many examples of great – and profitable – films by diverse storytellers. Jordan Peele’s Get Out was not only extremely entertaining, but it has become such a part of our culture that it inspired a course at UCLA on race and horror. And Trish Sie’s Pitch Perfect 3, which was also co-written by a woman, continues our commitment to providing opportunities for women in film. And, of course, we had another global success in 2017 with the Fast and Furious franchise and its multi-ethnic cast and production team. 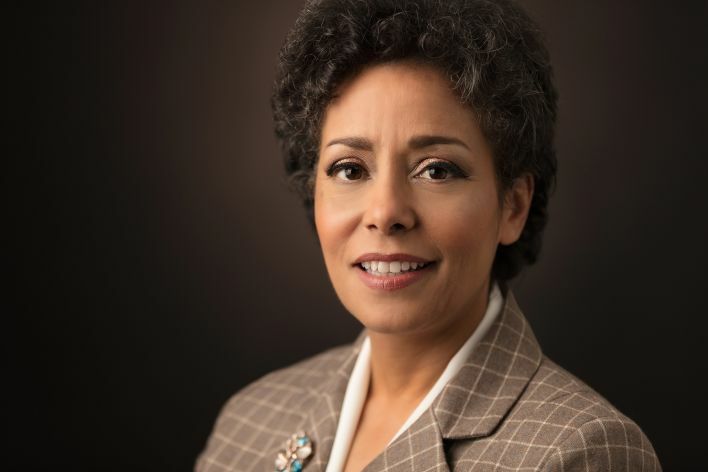 Our Chairman Donna Langley leads us every day by example and it makes us all very proud to be part of such a forward-thinking, inclusive company that is determined to deliver films that resonate with and reflect our increasingly diverse audiences. Q: What role does diversity in-front-of- and behind-the-camera play in your department’s branding tagline: Empowering unique voices, championing global stories and creating opportunities? When we created our department ‘tagline,’ we got excited about the messaging because it not only accurately reflects what drives the Global Talent Development & Inclusion team, but what drives our production executives, producers and workforce as well. Whether you’re a filmmaker or a film group employee, empowering, championing and creating are the hallmark of what drives our culture and our success within the Universal Filmed Entertainment Group. Q: You’ve been here a little over a year now and I think people would be interested to know what most impresses you about NBCUniversal’s commitment to diversity and inclusion. First of all, I have to say that what has stood out the most over this first year is how approachable everyone is, just from a day-to-day, walking in the hallways perspective, and at every level of the organization. And I think that being part of a corporate culture that fosters kindness, respect, and curiosity dovetails perfectly with its commitment to diversity and inclusion. All across the company the sense of collaboration and pure love of great storytelling is pervasive. It really says a lot about the leadership here. Continue onto NBCUniversal to read the complete article. 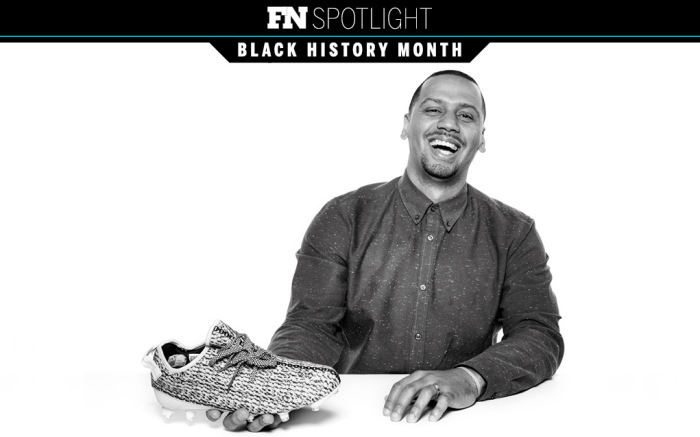 Like many people who work at powerful athletic companies, Eric Wise fell in love with sneakers at an early age. It’s little wonder, then, that Wise found his way back to his true passion: sneaker culture. Here’s how it happened — and how he continues to rise through the ranks. What made you want to pursue a career in the athletic industry? How did you break in? Looking back on your career, what accomplishment are you most proud of? As a minority, what has been the biggest obstacle you faced in your career? Sneakers have a diverse consumer base. Why doesn’t that diversity translate at the higher levels in greater numbers at these companies? So what specific steps should footwear firms take to make their ranks more diverse? Continue onto FootWearNews to read the complete article.